If not done already, download the Osper App from the Apple App Store or Google Play Store. 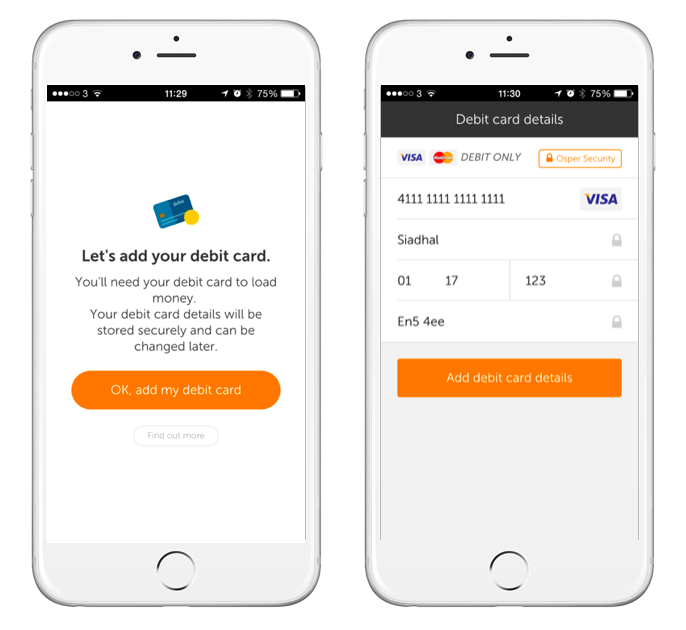 Open the Osper App and tap the Activate a Card button. Log in with your email address and password. If you have forgotten your password and need to reset just click here. You can then add your debit card. It must be a UK Visa or Mastercard Debit card (not credit or prepaid) with at least £1 available. If any of the details are red, it means that it’s not typed in correctly. Double check that you’ve got all the detailed entered correctly. The expiry date needs to be in month-month and year-year format; for example July 2018 will be 07 / 18. The CVV is the last 3 digits on the signature strip on the back of the card. You can then set up the young person’s account. This is what they will use to log into Osper on their phone or tablet, letting them see their transactions and PIN number. The username needs to be unique, if another user has that username and isn’t available it will show as red. If this happens try a different username instead. If the young person doesn’t have an email address or mobile number just leave these fields blank. Don’t put your own email address or telephone number in again as this will cause an error. Enter in how you would like to appear when you give money to the young person, for example as ‘Mum’ or ‘Dad’. Decide if you want the young person to be able to use their Osper Card online for things like Xbox, iTunes, Amazon and so on. You can turn this off and on at any time by logging into the Osper App. Load money onto the Osper Card now for the young person to use. You can load any amount from £5 to £100, or can skip this step by pressing the 'Skip for now' button. You can view the PIN number for this card by pressing the 'View PIN' button. 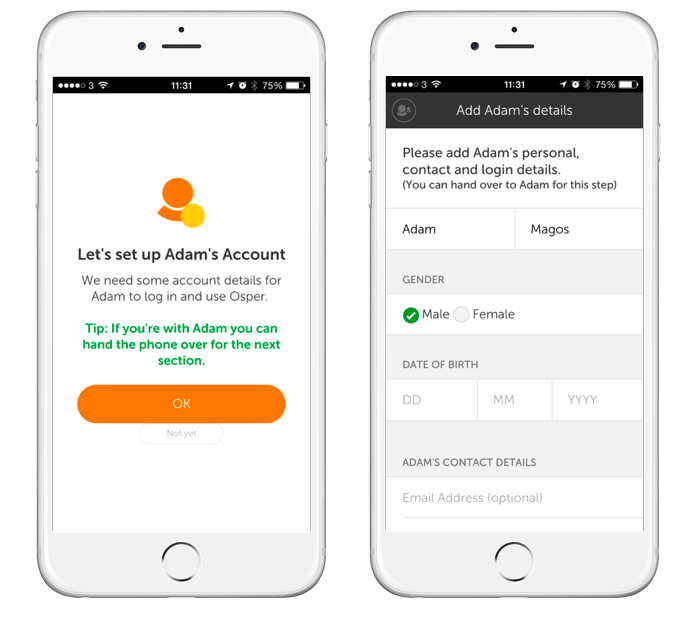 The PIN can also be seen at any time by either the parent or young person by simply logging into the Osper App and selecting ‘PIN Reminder’. The Osper card is now fully set up and can be used instantly! Please note that the very first transaction needs to be made using chip and PIN.